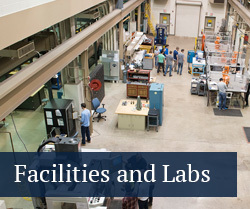 The Graduate Program in Acoustics at Penn State is a unique interdisciplinary program that offers a broad educational background applicable to a variety of scientific and technological fields, providing lifelong flexibility for continued professional growth. Tailor your educational experience by selecting from a wide array of courses such as basic acoustics, physical acoustics, underwater acoustics, signal processing, optics, medical ultrasonics, aeroacoustics, vibrations, wave propagation, speech, physiological acoustics, psychoacoustics, and thermoacoustics. Acoustics students have access to state-of-the-art facilities outfitted with an array of hardware and software to enable research and study. Many of our students spend the majority of their time in the Applied Science Building, home of the program, and Research Building West. Since 1965, the Graduate Program in Acoustics has been offering several options leading to a graduate degree in acoustics. 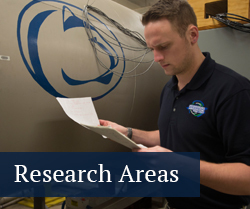 Penn State is the only school in the U.S. that currently offers the Ph.D. in Acoustics. The Distance Education program was created in 1987 to enable full time working professionals the opportunity to earn the M.Eng. in Acoustics degree or to enhance individual knowledge by taking selected courses while continuing to work full time. The Distance Education Program utilizes video streaming broadcasts of our graduate course lectures during the spring and fall semesters. 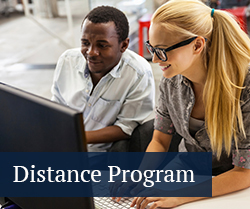 Distance Education degree students usually begin course work as nondegree students and apply for degree status before completing 15 credits of nondegree work. The one-year M.S. is a more research-focused master’s degree consisting primarily of coursework. This degree does require a research-based scholarly paper, but does not involve the level or research required for a traditional thesis. The one-year M.S. degree option is completed within one calendar year and requires students to take a slightly heavier course load (13 credits during the fall and spring semesters and 4 credits during the summer term).